Turner Broadcasting and European digital distribution company Metaboli are teaming up to take GameTap global. A partnership between the two companies will eventually result in Metaboli managing the service in both the U.S. and Europe, managing the GameTap name in the U.S. while being managed under the Metaboli name across the pond. Turner Broadcasting had previously indicated plans to offload the service altogether last month, but now will remain on as an equity investor in the combined company once an initial transition period has passed. See? All's well that ends well. Our little GameTap is just growing up and flexing its wings. Let's just hope we don't find its broken corpse at the base of the tree when this is all over.Turner Broadcasting and Metaboli Partner To Create A Global Online Gaming Service Turner Broadcasting System, Inc. (TBS, Inc.) and Metaboli, S.A. have partnered to create a global online gaming service under the GameTap brand in the U.S. and Metaboli brand in Europe, the companies announced today. GameTap will continue to offer arcade, console and PC games from a library of several hundred titles to broadband users in the U.S. The GameTap/Metaboli combination brings together two established leaders in the online gaming space that creates a global gaming brand with a presence on two continents. “GameTap is a significant strategic addition to our portfolio of established online gaming services in Europe,” said Pierre Gaudet, CEO of Paris-based Metaboli. “The addition of GameTap provides us a foothold in the U.S. market; valuable content and an established brand that integrate well with our existing operations; and a partner with whom we are honored to be in business.” “Our priority for all of our networks and businesses is growth,” said Stuart Snyder, who as president and chief operating officer of Turner Broadcasting’s Animation, Young Adult & Kids Media group has overseen GameTap. “Partnering with Metaboli significantly enhances GameTap’s growth prospects by leveraging our respective strengths. Metaboli’s recognized white label expertise, combined with GameTap’s vast game library, publishing agreements and brand equity will now offer turn key solutions to ISPs, Portals, Retailers and Publishers in the United States. 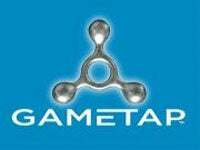 There’s upside here for everyone, but especially for gaming enthusiasts around the world.” Under the new agreement, Turner Broadcasting will continue to manage GameTap operations and provide technical and migration support through a transition period to conclude in early 2009, at which time Metaboli will assume direct management of the GameTap business and brand. GameTap will continue to be based in Atlanta and Turner will become an equity investor in the combined entity going forward. Launched in 2005 by Turner Broadcasting, GameTap delivers more than 1,300 authentic versions of console, computer and arcade games, including original and exclusive episodic titles such as Sam & Max, Seasons One and Two and American McGee’s Grimm. Visitors to www.gametap.com can play free games on its ad-supported Web site and purchase top PC and catalog titles from its digital retail storefront. GameTap paid members receive unlimited access to its massive library of titles; community and multi-player features; and original games. Metaboli is Europe’s leading provider of platforms and websites for games digital distribution. Consumers can subscribe to its games-on-demand service at www.metaboli.com and download to own games at www.gamesplanet.com. Through “Digital Tycoon”, their business-to-business platform, Metaboli also powers the websites of more than 50 white label partners from MSN, T-Online, Orange, Virgin to Atari or Game.